Windows | WordPress and DotNetNuke Website Design and Development. Perhaps a page was created with a spelling error, or a reorganisation of the website means that a particular page has been renamed. We wish to redirect our visitors to the page to a different address. In the example below its assumed that the website page has moved to www.example.com/fruit-and-veg/. We wish to tell the browser to redirect to the new page name by adding a short snippet of code to the page. The code example above can be added to the page. This is for a dynamic asp.net page. It won’t work for a static HTML page. In the above I’ve included the notification that the change is permanent. Browsers will cache the redirect, after all you’ve told the browser that you no longer wish the old page to be visited. You may find forcing browsers to adopt a change back difficult to achieve, with the browser reluctant to discover the change. A further permanent redirect back again may be used. I’ve illustrated the example using a permanent redirect. But, as noted, it’s possible that the browsers will equally permanently cache your rule. If it’s wrong then amending it may well be ignored. Experiment first with a temporary redirect, just to be safe. If its your intention to redirect more than the single page, perhaps a whole menu section, by adding the redirect into a common header file then you may wish to reconsider your approach. Making use of the file web.config. Adding a new admin user will be divided into two actions: first the creation of the new user and then secondly the assignment of the user to the admin group. To add a new user expand Local Users and groups in the tree menu on the left. Right click on the centre pane. For a new system there is Administrator and Guest listed. Select New User from the popup window and enter the details for the new user. In the box enter the name of the user and then click on check names. Accept the user. By default IIS is missing the URL rewrite. 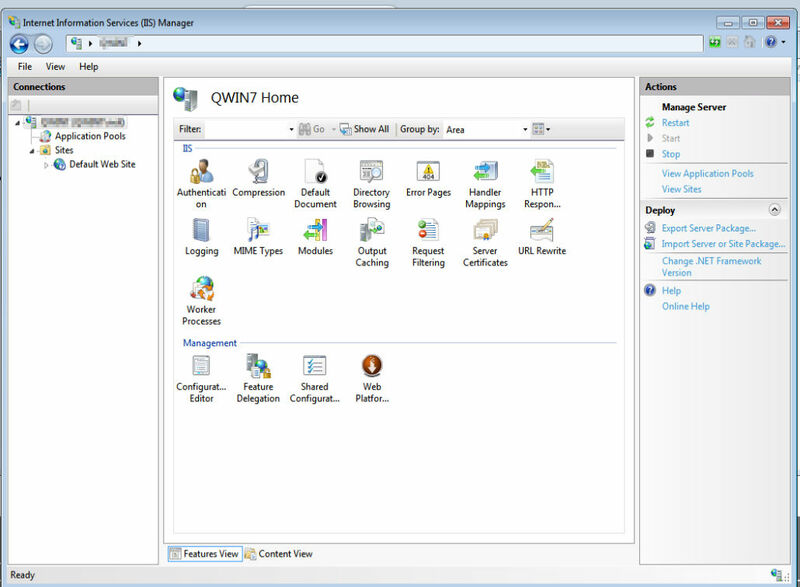 Looking at a fresh install of IIS admin view, the icon which should be found within the section, IIS, is missing. Having gone through the sequence to add asp.net as detailed in the article Adding ASP.NET Features to IIS7.5, I expected to find it as an option here. To add this visit the page https://www.iis.net/downloads/microsoft/url-rewrite and follow the instructions, downloading and running the module. 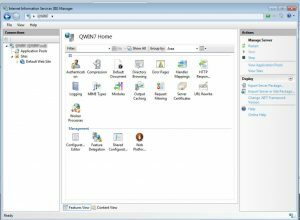 Here’s a view of the IIS admin screen with the URL Rewrite icon, sitting between the Server Certificates and Worker Processes on the bottom row of the IIS section. 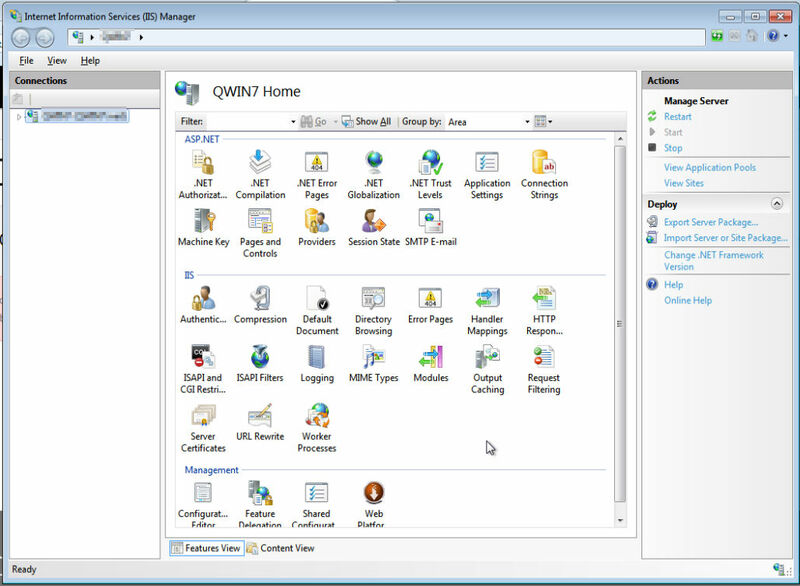 The control panel is shown below with only the IIS options and Management options. To add the asp.net features. 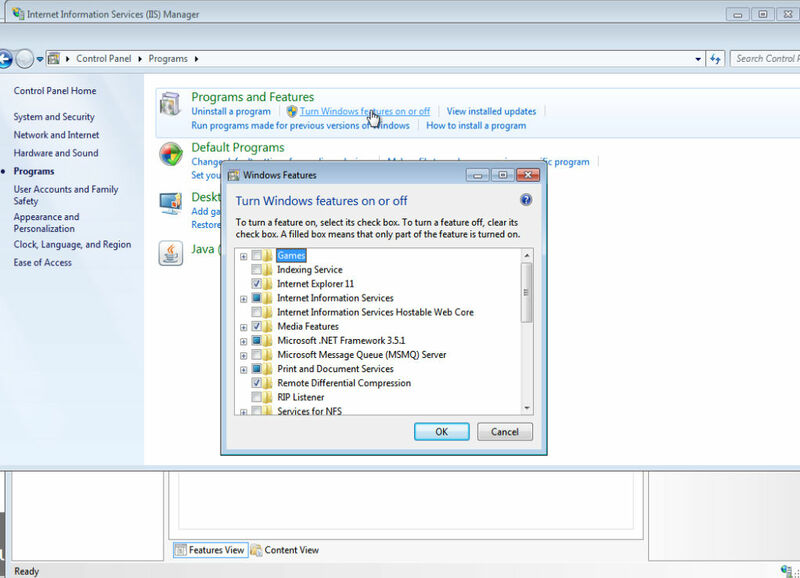 Begin by opening the control panel and selecting from the Programs section the option Turn Windows features on and off. 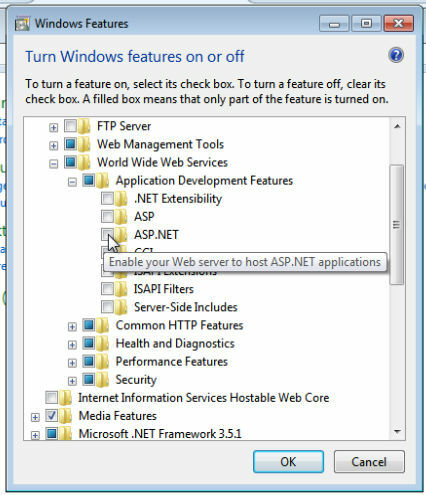 Click on the checkbox for ASP.NET. Please wait while Windows makes changes to features. This may take several minutes. You may find that this takes a few minutes. Wait whilst the dialogue completes. I have read that IIS is to be restarted for the change to show. However, for me it was sufficient to close the management window and reopen it once more. Whilst the control panel ASP.NET section is missing by default its easy to add it in, following the steps above beginning with the control panel. 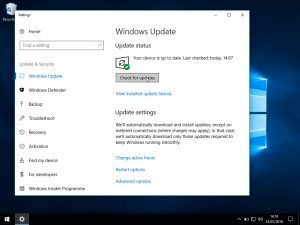 Looking to update Windows 10 manually where can I find the Windows Update page? From the Windows home screen click on the Windows icon in the bottom left hand corner and then the Settings icon a little above. 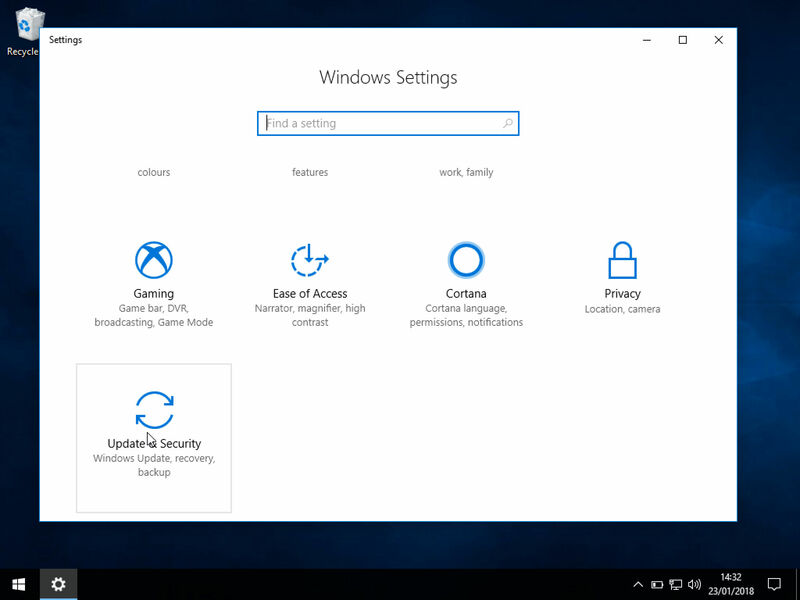 This view shows the main Windows Settings page. The section of interest is Update & Security, at the bottom. Click on it. On the left is a menu of options, including our item of interest, Windows Update, listed at the top. 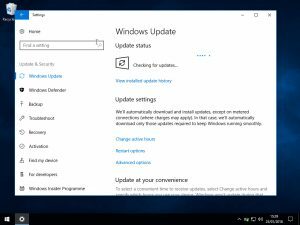 If Windows Update isn’t showing select it from this menu. 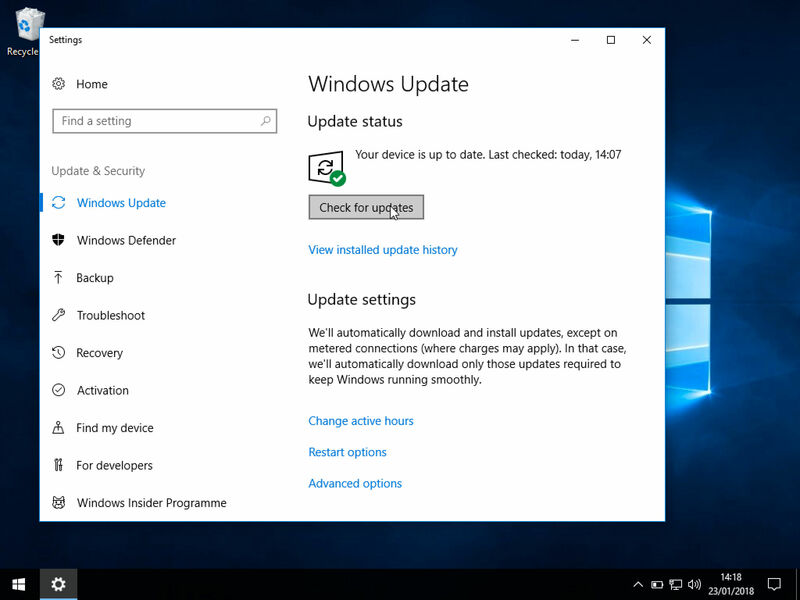 Highlighted with a grey background is the manual trigger for the Windows Updates. Click on this to begin a manual check of available updates. The page changes to show the update status. Initially a check is made for available updates. That often looked for website redirect from the non-www version of the website URL, address, to the www version. In this case the redirect is for a Windows hosted website, using the web.config file to set the redirect rules. I wish to avoid adding the redirect within the website coding. By taking advantage of the redirect rules within the web.config file. This will make them readily available and can be edited without recompiling the website code. 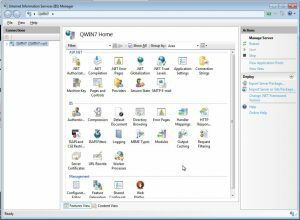 Access your website either using FTP or the editor/manager within the housing website control panel. The file to be edited is located at the root of the website. This may be a directory down. Check if you have a directory such as public_html. It’s easier to edit the content of the web.config file of is laid out correctly and colour coded. An HTML editor will make your life easier when editing. As as a bonus below is the HTTPS version too! Technically it’s a 301 or 302 redirect. Looking at the code above it can be seen that I’ve used the redirectType parameter value of permanent showing the redirect to be of type 301. web.config rewrite rules to permanently redirect non-www to www. 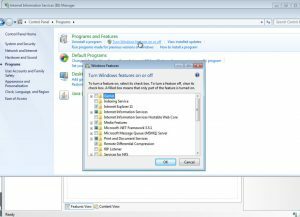 Having lost the current password for a Windows 2008 server user account. How do I change the password? If I follow the control panel link to the user and look to reset the password, a part of the dialogue requires entry of the current password. Which I didn’t have! Its possible to get around this requirement from a command prompt. When asked, enter the new password, and re enter for confirmation. Obliged to confirm that the password change is correct and the anticipated value has been entered I once more tried logging in with a remote desktop session from another computer. Using the command prompt as opposed to the user control panel I was able to reset a user password without the knowledge of the current password. ExpressMaint is a utility which may be used to automate the backup of SQL Server databases. It can be used to create and save a backup of each of the databases within an SQL Server. Better still it can be set to age the files, deleting all those older than, say, a month. Download a copy of the zip file ExpressMaint.zip. Extract the ExpressMaint.exe file contained within to your scripts directory. I’ll assume that the exe file has been added to the folder as: z:\ExpressMaint.exe. I use a batch file to call the exe file, passing the relevant parameters. And I have created a backup directory for the databases at z:\backup. The batch file for running ExpressMaint is located at: z:\expmaint.cmd. In the above change the name of the server webserver and Sqlserver as appropriate. I created a scheduled task to run daily. On Windows Server 2012 I found that expressmaint.exe wasn’t running as a scheduled task. Following the referenced link and using that version of ExpressMaint worked. 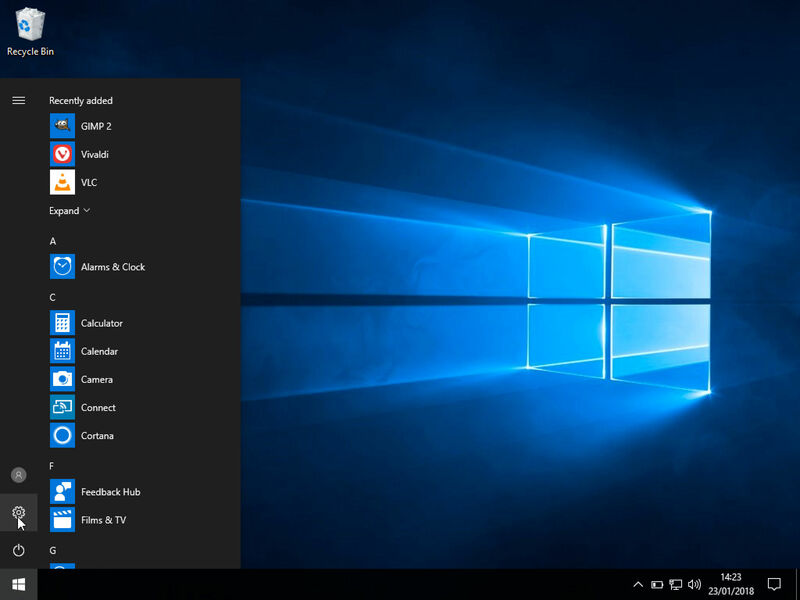 Accessing the Control Panel in Windows 10 is one of those of course how obvious moments. 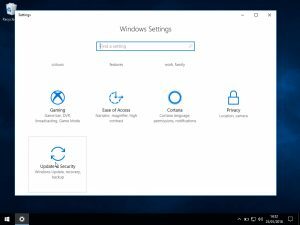 I found that the main control panel home page in Windows 10 was access by simply right clicking on the Windows logo at the bottom left hand corner of the screen. 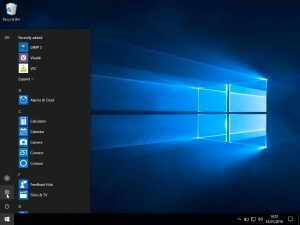 Right click on the Windows logo to show a menu of admin related options. The control panel is listed here amongst the other admin actions.